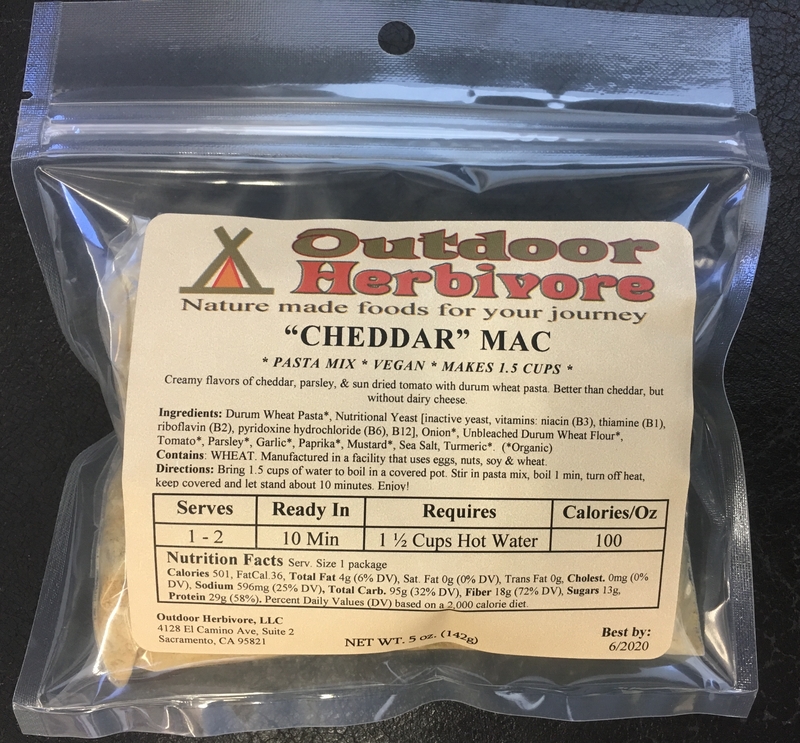 Outdoor Herbivore's meals are available in 2 sizes - Single and Double. Hungry Single (serves 1+) is our large portion individual meal size. The prepared portion averages 2 cups, at least 50% larger than other "single" size commercial camp meals. Suitable for the voracious hiker appetite, or one adult engaging in moderate to strenuous activity. It will feed two adults with smaller appetites. Hungry Double (serves 2+) is our large portion double meal size. It is exactly double the Hungry Single size and the prepared portion averages 4 cups. This size will feed two adults with a large appetite engaging in moderate to strenuous activity. A great option for couples, or 1 adult and 2 kids. Hungry Hoarder (bulk) contains 6 separate packages of our Hungry Double (2+ servings) meals bundled together and sold "bulk." This is the perfect option for long distance thru-hikers or groups looking to save money or keep food aside for later use. Our packaging is functional rather than fancy. The result is an ultra-portable, lightweight barrier-proof pouch that saves on weight, waste, space, and cost. This packaging is for food storage only. It is not suited for adding boiling water and consuming from. We recommend using actual dishes and utensils for eating or purchasing our reusable boil bags. We know backpacking meals are expensive, especially those made with organic and less processed ingredients. To make them more affordable for you, we spend less on marketing and glitzy packaging. Instead, we focus on producing higher quality backpacking food with appropriate portions. Bon Appétit! 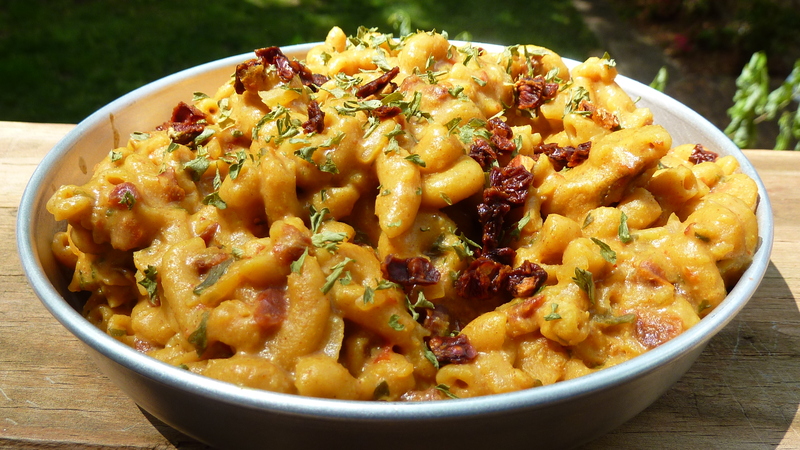 © 2010- Outdoor Herbivore | Trail Food made with Real Food by Humans in California.